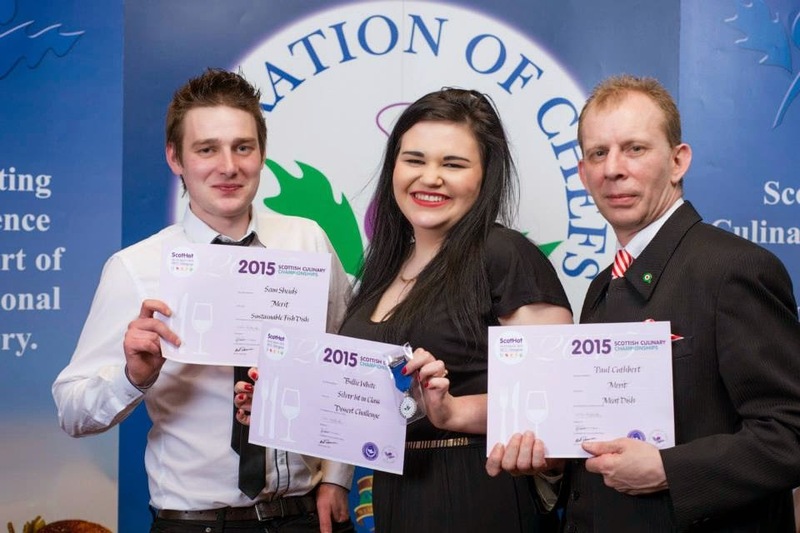 CHEFS at Western House Hotel and Ayr Racecourse recently won honours at the prestigious ScotHot 2015 Awards held in Glasgow. Chef de Partie Billie White was the class winner in the Dessert Challenge, winning a silver medal with judges commenting she showed outstanding composure in what was her first ScotHot competition. Sam Shields won the Hygiene Award for Chefs, showing skills, knowledge and understanding of HACCP and hygiene standards. A merit award in the Sustainable Fish Dish Seniors competition also went to Sam, Junior Sous Chef in what was his first senior competition. Chef de Cuisine Paul Cuthbert was placed fourth, picking up a merit award in the Meat Dish section. Paul has competed in the ScotHot event since 1985 and has won more than 40 awards at ScotHot, and 20 international awards including the gold medal at the World Culinary Olympics in London in 2000. Paul will continue to be involved at ScotHot in a mentoring role to his team of chefs. Ayr Racecourse managing director David Brown said: “This was a fantastic set of results, and a reward for the team in their pursuit of excellence. The ScotHot Awards Ceremony was held in the Hilton Hotel in Glasgow. For further information call Iain Ferguson on 01292 294972 or 07795 565691.